Somewhat secondary to the fallout from Theresa May’s spectacular failure to communicate at last week’s Conservative Party conference is the controversy surrounding the latest verbal ‘faux pas’ from Foreign Secretary, Boris Johnson. 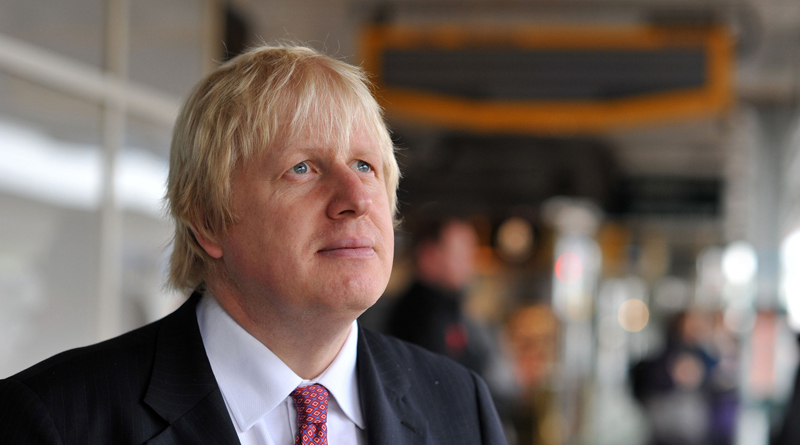 Hours before the Prime Minister’s speech (described in the Daily Telegraph as being, all things considered, “staggeringly incompetent”) Johnson addressed a Tory fringe meeting where he suggested, to uneasy laughter, that the Libyan city of Sirte could become the “next Dubai” if only they could “clear the dead bodies away”. But the truth is this behaviour is not unexpected from Johnson, who seems driven to attempt to lighten the most serious of moments with inopportune levity. His career is littered with inappropriate conduct. References, whilst working as a journalist for the Telegraph, to black people as “piccaninnies” with “watermelon smiles” competes with his description of the people of Papua New Guinea as prone to “cannibalism and chief-killing” in levels of offensiveness. But Johnson is not a joke. He is not, as stated by Radio 4’s Eddie Mair, the Tory’s Bernard Manning. He happens to be Foreign Secretary at the most important time in post war British history. His underlings at the Foreign Office reportedly despair of his unsuitability for the role while the rest of Europe apparently looks on aghast at the arrogance and ineptitude. As Nina Schick, a political commentator and advisor specialising in EU policy, German politics and Brexit has pointed out, Johnson “does not operate in a vacuum and is seriously doing an unbelievable amount of reputational damage to the UK”. Even so, though he may have (temporarily) ruined his chances for the Premiership by alienating members of his own party, there still seems to be a great deal public support for him. As I’ve written before about Katie Hopkins , Johnson is at the vanguard of popular opinion saying the unsayable in an age when the values of free speech are perceived to be undermined almost daily. In an environment considered by many to dominated by political correctness, he represents a freedom of thought and candour not terribly obvious in his Conservative colleagues. Least of all in Theresa May. Every statement, every intervention and every ‘gaffe’ has been calculated with Swiss-made watch precision to get Johnson eventually where he desperately wants to be: 10 Downing St.
We only have to look across the pond to the campaign and presidency of Donald Trump to see that the norms and conventions of how politicians communicate have significantly changed. In very recent years past, who would have imagined a presidential candidate surviving a public airing of him boasting about sexual assault, mocking the disabled or insinuating that the pro-gun lobby might be moved to assassinate his opponent? Trump’s assault on language is daily evident and clearly part of his appeal to core supporters is in his decidedly non-traditional modes of address. He ran on the platform of being the anti-politician candidate who was going to drain the Washington “swamp” of corruption and cronyism. In this sense, the eschewing of conventional political communication is part of Trump’s continual effort to demonstrate that he is somehow different to those who have preceded him. But far from freshening up politics, Trump’s extraordinary approach to the Presidency has devalued the office. The global perception of the Unites States now appears to veer from exasperated disbelief at how things now are, to a genuine fear that nuclear war is imminent. Trump’s farcical slanging match with the equally unpredictable Kim Jong Un of North Korea is devoid of any recognisable sort of diplomacy. ← Will Ken Burns’ Vietnam War convey all the conflict’s horrors?